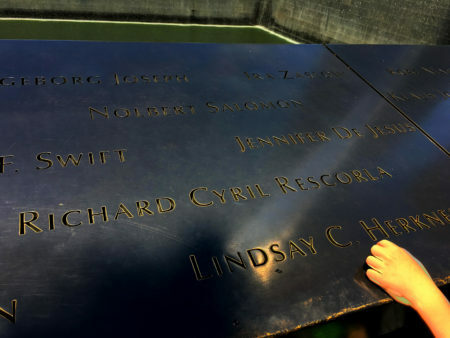 One of the names we remember today is Rick Rescorla an American hero who gave everything on September 11, 2001, to save all his co-workers in the World Trade Center attacks. Originally a British soldier hailing from Hayle, Cornwall who joined the U.S. Army to serve in Vietnam and ultimately was a security officer for Morgan Stanley. Rescorla got all of his fellow employees out of the South Tower before it fell. If you haven’t read his amazing story you owe yourself a great read with Heart of a Soldier. Hurricane Lane spanked Hilo with bands of rain. Like this off and on all day Friday (Aug 24). Scammers have been transferring phone numbers on T-Mobile (though we have heard some other cell carriers are affected too but these are instructions for T-Mobile) out to their own phones so they can exploit any 2-Factor Authentication you use via SMS. This is called number porting when a number is ported over to another account or carrier. Often we have 2FA set-up for email, bank and other online accounts. If someone steals your phone number then they will be able to possibly hack into these online accounts. You should enable a Port Validation PIN for your T-Mobile account. You will need to give them a password of your choosing 6-15 digits (numbers only). This will protect you from a scammer transferring any phone numbers in your account unless they know this special PIN. I suggest making it a long one as your will rarely have to use it anyway. This DOES NOT change your T-Mobile account web login password. This replaces the four digit PIN they used to ask for sometimes if you changed services.